West Coast, are you "Satisfied?!" Lin-Manuel Miranda's gargantuan Broadway hit Hamilton is heading out on the road to you first! A national tour of the tuner will begin performances in March 2017 at the SHN Orpheum Theatre in San Francisco, before playing its premiere Los Angeles engagement at the Hollywood Pantages August 11, 2017 through December 30. Casting will be announced later. Directed by Thomas Kail and featuring a book, music and lyrics by Miranda, the show is currently playing at the Main Stem's Richard Rodgers Theatre; an open-ended Chicago incarnation will begin its run this fall. Starring Miranda in the title role, the Broadway cast currently includes Jonathan Groff as King George III, Christopher Jackson as George Washington, Leslie Odom Jr. as Aaron Burr, Phillipa Soo as Eliza Hamilton, Anthony Ramos as John Laurens/Phillip Hamilton, Daveed Diggs as Marquis De Lafayette/Thomas Jefferson, Renée Elise Goldsberry as Angelica Schuyler and Javier Muñoz as Hamilton alternate. 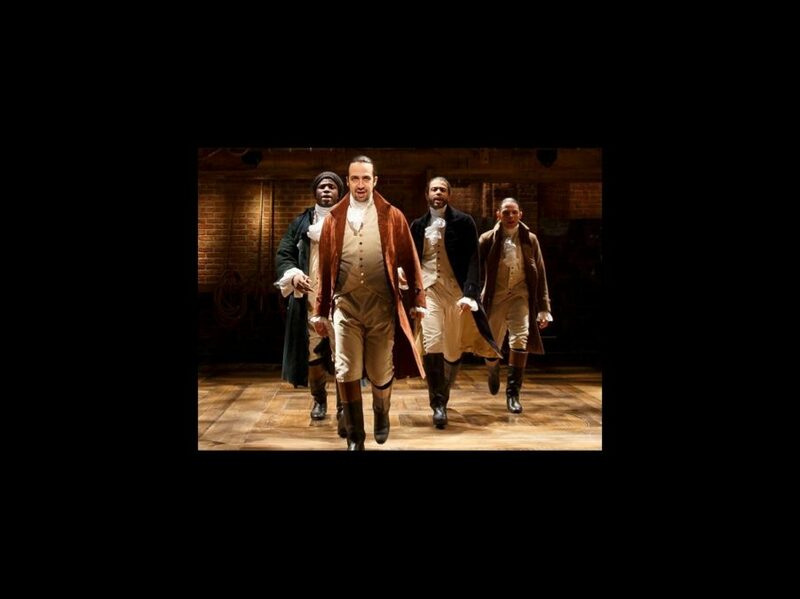 Hamilton features choreography by Andy Blankenbuehler, musical direction and orchestrations by Alex Lacamoire, scenic design by David Korins, costume design by Paul Tazewell, lighting design by Howell Binkley, sound design by Nevin Steinberg and hair and wig design by Charles G. LaPointe.